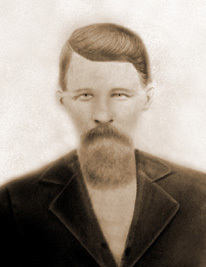 Franklin Angus Davis was born on December 15, 1852 in Jackson Co., Florida and died about 1937 in Blountstown, Florida. He lived to be 84 years old. He was a farmer. 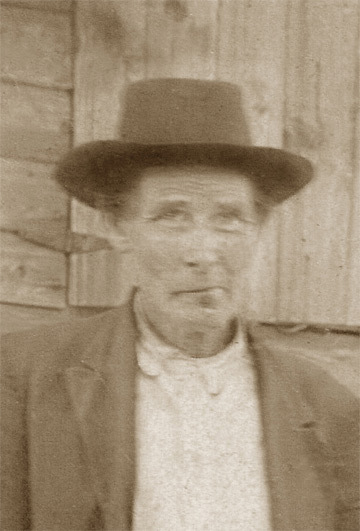 He was married 2-3-1877 in Jackson Co, FL. 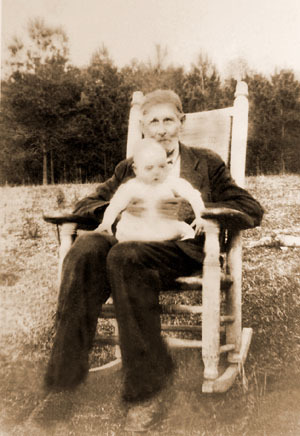 Their daughter Roxie (1898) died as an infant and the youngest child's is name is unknown, she/he also died as an infant in 1905. 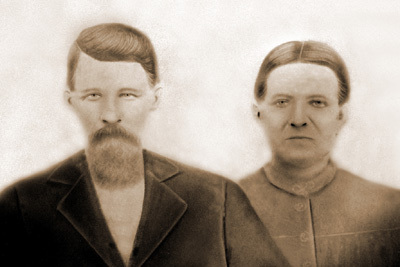 Ellis F. Davis (age 46, born in MS) is listed on line 13 with: Elizabeth (age 32, born in S. Carolina), William (age 18), Walter (age 16) Laura (age 14), John (13), Martin (10), Franklin (7), and Ellen (3). All of the children were born in Florida. He estimates the value of his real estate at $1, 000 and personal estate at $1, 000. His occupation is recorded as farmer. Family#276, Franklin age 30 born in FL, farmer, list his father born in MS and mother in FL. Joesphine age 19 born in FL, Keeping House, list father & mother were born in GA. William age 2 born in FL and Matthew age 10 mo. born in FL. #25 -Frank Davis	(33), Josephine Davis	(24), William Davis	(8), Mathew M. Davis	(6), F. A. Davis	(5), Robert E. Davis	(3), Tefia Davis	(1). All born in FL. Frank is a farmer. US Land Certificate No. 16857 (28192) issued to Frank A. Davis for the north half of the north east quarter and the north east quarter of the north west quarter of section eight in Township One north of range eight west of Tallahassee Meridian in Florida containing one hundred and twenty acres and thirty six hundredths of an acre. Family# 143: Robert E Davis (age 49), Allie M (age 30), Bessie L (age 17), Inez I (age 12), Earl S (age 9), Robert B (age 7), Martin B (age 3), Mary E (age 7/12), and Frank A Davis (age 75). Robert is a laborer at the Saw Mill. He is not a veteran of a war. All were born in Florida and their parents were also. Click on any of the News, Events, or Discoveries buttons above to see historical things that happened during Franklin Davis's life. These are only some of the major events that affected the life and times of Franklin, his family, and friends. For example, Franklin is 3 years old when Third Seminole Indian War begins. It ends three years later when Chief Billy Bowlegs and his band are forced to move from Florida. 3 1855 Third Seminole Indian War begins and war breaks out with most of the battles occurring in Central Florida. It ends three years later when Chief Billy Bowlegs and his band are forced to move from Florida. 9 1861 No Floridian's voted for Lincoln during the 1860 election. On Jan. 10, 1861, Florida seceded from the U.S. and joined the Confederate States of America a few weeks later. 13 1865 May 10th -- Union troops occupy Tallahassee. While Tallahassee was the only Confederate state capital east of the Mississippi River that had not been captured, Union troops occupy the capitol following the surrender of the major Confederate armies in the east. 13 1865 Battle at Natural Bridge (Wakulla County) is a Confederate victory. 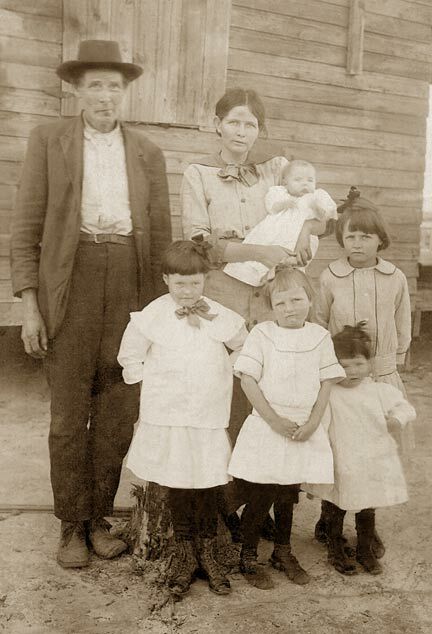 18 1870 During the 1870s, the remaining Seminole Indians begin establishing trading posts and other economy with local settlers. 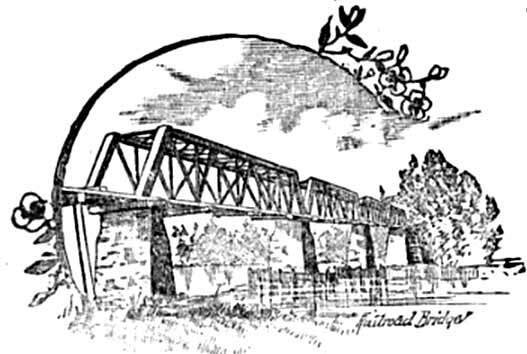 30 1882 The Florida Central and Western Railroad Company was created. It combines the Florida Central, Jacksonville, Pensacola, and Mobile railroads. 31 1883 Three railroad companies are merged to form the Florida Transit and Penisular Railroad Company. Thee are: Florida Transit Railroad Co., Peninsular Railroad Co, and the Tropical Florida Railroad Co.
32 1884 Most railroads in Florida are passed into the hands of a single company owned and operated by a single management, under the name of The Florida Railway and Navigation Company. It has more that 500 miles of main track in operation and about 300 miles of track under construction. 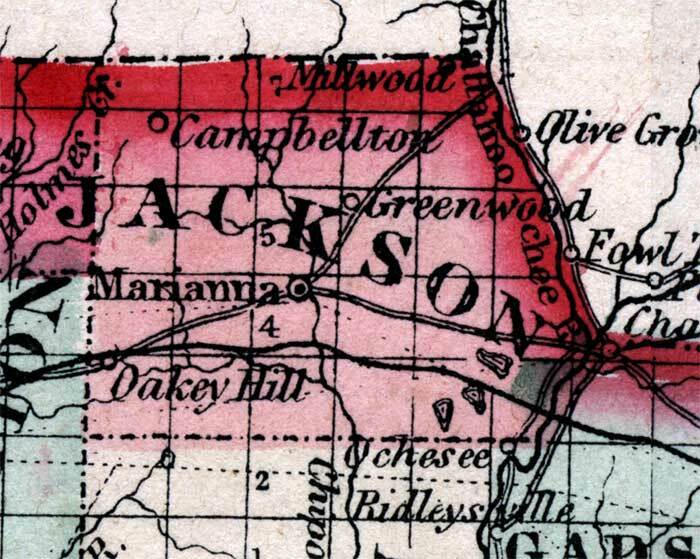 The longest route was the "Western Division" which ran from Tallahassee to Jacksonville - 209 miles. 54 1906 An attempt to drain the Everglades and convert it to farmland begins. 65 1917 Seminole Indians become a Florida tourist attraction. 76 1928 The Tamiami Trail opens. It opens the southernmost 275 miles of U.S. Highway 41 from State Road 60 in Tampa to U.S. Route 1 (SR 5) in Miami, Florida to tourist. It also destroys many of the Seminole Indian waterways and hinders their economy. 1 1853 The process of creating steel is invented by Besermer in Britain and Kelly in the U.S.
7 1859 Charles Darwin publishes "Origin of Species" and begins the evolution theory. 13 1865 Mendel publishes his papers on genetics and introduces the concept to the public. 25 1877 Edison invents the phonograph permitting music and voices to be recorded and replayed. 27 1879 Edison invents the electric light bulb. 43 1895 Wireless telegraph and the "antenna" are invented but it covers a very short distance. 48 1900 The cause of yellow fever is discovered. It is proven that the fever is spread by mosquitoes. This rallies an effort to provide better mosquito control. 48 1900 Freud publishes his book "The Interpretation of Dreams"
49 1901 First transatlantic wireless telegraph is sent. 50 1902 The first Tyrannosaurus Rex fossil is discovered. 60 1912 The unsinkable Titanic sinks on its first trip to New York drowning 1,513 people. 71 1923 Freud publishes "The Ego and the Id"
9 1861 NEWS HEADLINES: American Civil war begins at Ft. Sumter, located in Charleston Harbor, VA.
10 1862 NEWS HEADLINES: May 20, 1862 the US government passes the Homestead Act to provide cheap land for settlement of lower Southeast and West. 30 1882 NEWS HEADLINES: Edison creates the first large power station in New York City, making it the first place in America to have electricity. 33 1885 NEWS HEADLINES: Eastman invents the box camera. For the first time photography becomes affordable for the average citizen. 60 1912 White residents of Forsyth County, GA, drive the black population out. 65 1917 NEWS HEADLINES: In June, the United States enters World War I on the side of the allies. The Russian Revolution ends the reign of the czars and thrusts Russia into communism. 67 1919 NEWS HEADLINES: World War I ends with the signing of The Versailles Treaty. 3 1855 Third Seminole Indian War begins. It ends three years later when Chief Billy Bowlegs and his band are forced to move from Florida. 8 1860 Presidential election puts Abraham Lincoln in office. The campaign has heated the issues regarding slavery in the south. 10 1862 May 20, 1862 the US government passes the Homestead Act to provide cheap land for settlement of lower Southeast and West. 11 1863 Abraham Lincoln issues the "Emancipation Proclamation" freeing slaves. 13 1865 American Civil war ends with General Lee's surrender at Appomattox, VA. Reconstruction begins in the "old South"
16 1868 An eight-hour work day is established for federal employees. 23 1875 Tennessee enacts Jim Crow law. 58 1910 Boy Scout and Girl Scout Organizations are introduced in America and the concept of a "week end" meaning time off from regular work begins to take root. The British Empire covers 1/5th of the world land area. 75 1927 Charles Lindbergh becomes the first man to fly solo across the Atlantic Ocean and Babe Ruth hits 60 home runs. 78 1930 Drought in the Great Plains area begins, creating hardship for farm families in 19 states. 80 1932 Amelia Earhart becomes the first woman to fly solo across the Atlantic Ocean. The infant son of Charles Lindbergh is kidnapped and murdered. 81 1933 Franklin D. Roosevelt is elected president under his "New Deal" campaign. Frances Perkins becomes the first woman to hold a cabinet post when FDR appoints her secretary of labor. On December 5, the 21st Amendment is added to the Constitution, repealing Prohibition. Drinks for everyone! 82 1934 Farm families must leave the dust bowl-stricken Great Plains areas. The dust bowl includes areas in Kansas, Oklahoma, Texas, New Mexico, Nevada and Arkansas. Radio picks up the "Okie" songs. In all, 400,000 people leave the Great Plains. 82 1934 Congress passes the Indian Reorganization Act which allows remaining Indian tribes to reorganize. 83 1935 Congress passes the Social Security Act, giving elder Americans Social Security money for the first time. 62 1914 World War I - Following the crisis touched off by the assassination of Archduke Ferdinand of Austria in Sarajevo, Germany declared war on Russia and additional countries joined the war within several days. 65 1917 Germany uses airplanes to drop bombs in the early stages of World War I -- the first major military use of airplanes. 67 1919 The Versailles Treaty marks the official end of World War I. 68 1920 Adolph Hitler begins to organize the Nazi party in Germany; The Ku Klux Klan launches a recruitment campaign using mass marketing techniques to gain 85,000 new recruits; the first commercial broadcast is made. 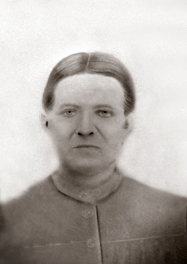 Born on August 9, 1860 and died on November 1, 1910. 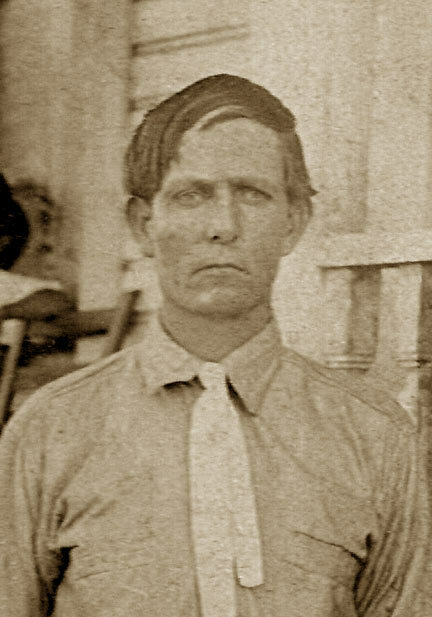 Born in Dry Creek (Calhoun County), Florida on October 26, 1877 and died somewhere in Florida about 1935. He was about 57 years old. 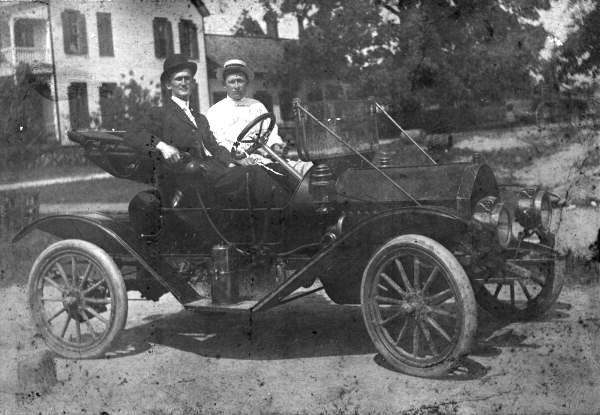 Children: Mary E. (1909), and Willie F. (1915). Born in Calhoun County, Florida on July 1, 1879 and died in Calhoun County, Florida on May 15, 1956. He was 76 years old. 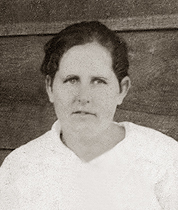 Born somewhere in Florida on January 25, 1881 and died in Calhoun Co., Florida on January 20, 1970. He was 89 years old. 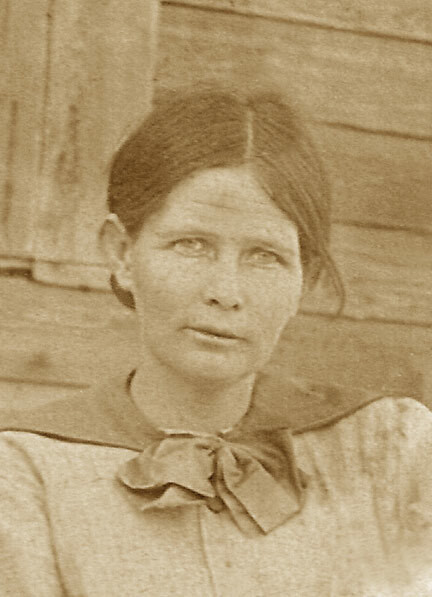 Born in Jackson Co., Florida on November 12, 1882 and died in Calhoun Co., Florida on July 6, 1972. He was 89 years old. 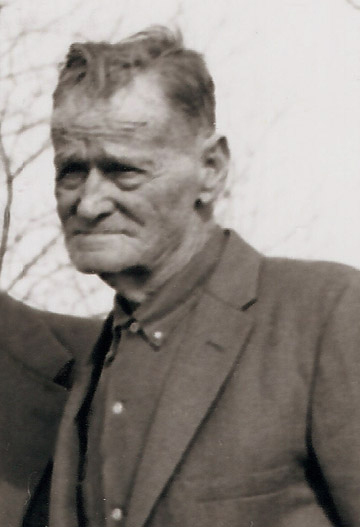 In 1930 his occupation was a laborer at the Saw Mill, he was also a farmer. Born in Calhoun County, Florida on January 6, 1885 and died in Calhoun County, Florida about 1940. He was about 55 years old. Born in Calhoun County, Florida on an unknown day in January 1885 and died in Calhoun County, Florida about 1940. She was about 55 years old. 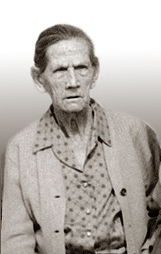 Born in Jackson Co., Florida on June 15, 1887 and died in Blountstown, Florida on December 9, 1981. He was 94 years old. 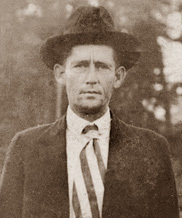 Born in Calhon Co., Florida on May 15, 1889 and died in Calhoun Co., Florida about 1970. She was about 80 years old. Born in Frink, Florida on August 8, 1891 and died in Blountstown, Florida about 1917. He was about 25 years old. 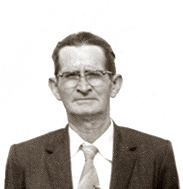 Born in Blountstown, Florida on January 27, 1893 and died in Blountstown, Florida on January 30, 1972. She was 79 years old. Born somewhere in Florida on an unknown day in April 1895 and died in Calhoun, Florida on February 12, 1941. He was 45 years old. He was called "Dan". He married Annie Armstrong (1907). Born in Altha, Florida on May 5, 1896 and died in an unknown location on February 5, 1935. He was 38 years old. Born in Calhoun County, Florida on January 2, 1902 and died in Blountstown (Calhoun County), Florida on March 17, 1994. He was 92 years old.